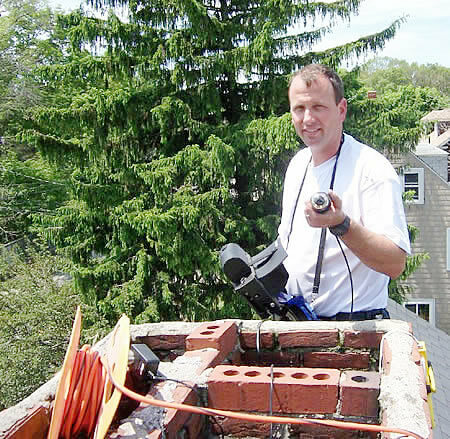 Four Seasons Chimney Service is frequently recognized for its outstanding contributions to the chimney industry and to the community in general. This page lists just a few of the notices of recognition which we have received. Recognize the photos below? They were taken at a customer’s home during the installation of a chimney liner by our company. The manufacturer selected these photos for placement on their web site. 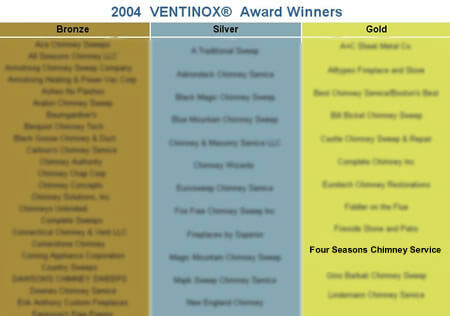 The manufacturer also named 4 Seasons Chimney Service a Gold Award recipient.